What to do in Wakayama City, Japan? - MisTan IzZy | Travel & Lifestyle. 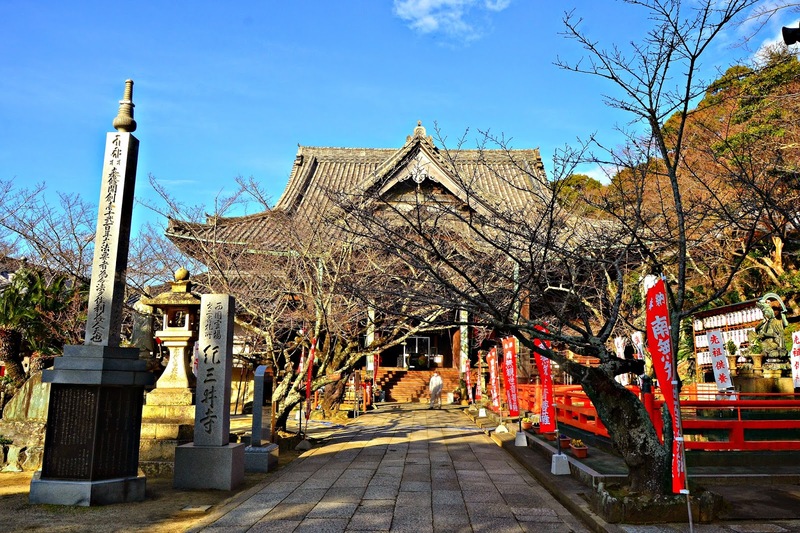 Wakayama city is located in the southern part of the Kansai Area, it is the capital of Wakayama Prefecture, and its in a very convenient location for most sightseeing. Although Wakayama Prefecture's best known tourist attraction is Mount Koya (Koyasan), but you might not want to miss out seeing the beauty of the capital city too. Apart from Osaka castle, Wakayama Castle is also famous for its cherry blossoms view in full bloom between late March and early April. Furthermore, in between late November and early December, leaves beautifully change into red and yellow colours to welcome Autumn. Wakayama Castle was built in 1585 under the command of Toyotomi Hideyoshi. In the Edo period it flourished as an important base for the Tokugawa Clan, which turned out great numbers of generals. Now it serves as a symbol of Wakayama City, and its tower offers great views of the whole town. Admission fee - ￥410 , closed on 29th - 31st December. Access - located within 30 minutes walking distance from JR Wakayama Station, other option to take Wakayama City bus. A theme park with an air of a Mediterranean port town. 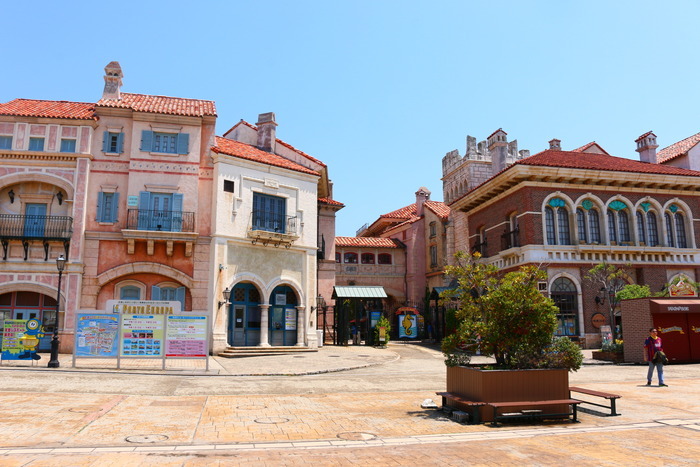 The buildings which are divided into 3, are designed with motifs of an historic Spanish castle, an Italian fishing village and a traditional French town. There are also attractions, an amusement park and restaurants as well as many events. 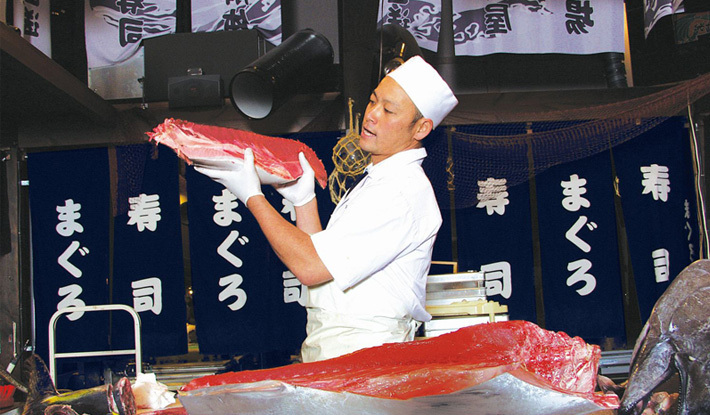 In Wakayama Marina City, it is popular with its tuna auction show in Kuroshio Market. The market is located on the west side of Porto Europa, its a market where anything can be found such as tuna, seafood, sushi and seafood barbecues. Admission fee - Porto Europa is ￥1500 for adults and ￥900 for children, however the attraction fees are not included, so if you want to try every attraction, show and event at the park, it might be a good idea to buy a premium pass. It costs ￥5900 for adults and ￥5000 for children. Access - From Kainan Station on JR Kisei Line, take a bus bound for Marina City. The structures of this temple made with gorgeous red decoration and solemn Buddhist images are the pleasure to the eye. Kimii-dera temple was founded in 770 by a holy priest Iko coming from China. This is a prestigious historic temple visited by successive emperors and where over 500 monks at a time underwent training during the Kamakura Period. The name of the temple comes from its three wells: Kisshosui, Yoryusui and Shojosui in the precinct. They are included in the 100 best waters in Japan. The place is also known as a cherry blossom viewing spot where about 500 cherry trees blossom creating a joyful atmosphere. You need to climb 231 steep stone steps to reach the main hall. However, the steps are called “Slop of marriage.” It is said that the climber of the steps will be united with the person in mind. It is a hard work but finishing the climb you will see a wide view of the beautiful coast. The main hall houses a large number of Buddhist images designated as Important Cultural Properties of Japan. And you can view them by paying a fee. Access - JR Kimiidera Station, walking distance of 15 minutes from the station. Tama was a calico cat and has served as a Kishi station master from 2007 to 2015. Tama has contributed for Wakayama sightseeing and revitalization of Local Public Transport with her co-worker Nitama who is a calico cat too. There are three theme trains operated along Wakayama Electric Railway - iChigo EC (Strawberry Train), Omoden (Toy Train), and Tamaden (Tama Train). Fees - One day ticket at Adult ￥780 and Child ￥390, Single Fares for Wakyama to Kishi are￥400 for adult and ￥200 for Child.